Intrinsic beauty – Over the past two millennia, travertine has been used around the world in such renowned ancient buildings as the Colosseum in Rome and the Sacré-Cœur Basilica in Paris as well as more modern ones such as the Getty Center in Los Angeles and the Shell-Haus in Berlin. It has long been a favorite of architects of large-scale projects but is now more readily available for smaller projects in homes and office buildings. Regardless of its specific use, travertine is a quite striking stone with dramatic striations and is available in a range of colors — the most common ones being white, tan, cream and rusty reds. 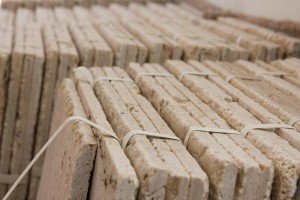 Renowned durability – Formed by the rapid precipitation of calcium carbonate — mostly derived from mineral springs — travertine is technically a limestone. It is actually composed of the same components — skeletal fragments of long-dead marine organisms such as coral and mollusks — as concrete. Unlike concrete, however, travertine retains is structural integrity and can be cut, milled and polished into a spectacular surfacing material. Relative affordability – Travertine is the most inexpensive of the natural stone surfaces. It cannot compete with ceramic tile on an initial cost basis, but it will last and remain more unscathed far longer than any manufactured tile. If you choose a travertine floor or wall, you shouldn’t have to replace or repair it as often you would with a ceramic product. In the long run, travertine may actually be the most affordable of the two options if the homeowner plans to stay in the home for many years. For more information on travertine tile and other types of stone flooring and wall surfaces, please contact us at Macadam Floor and Design. 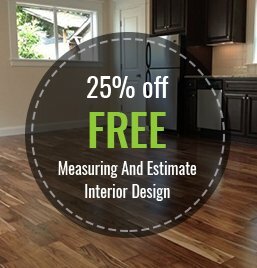 We can be found online at MacadamFloors.com or reached directly at 503-246-9800.